Hope you have a fresh and energetic start for the new year! For the first meet-up of the new year, let's go to visit a very interesting new exhibition at Protected content on this Sunday. After 3 years comprehensive research and curating, Protected content is ready to present this challenging and inspiring exhibition. The wide-ranging exhibition composed by 3 presentations and a "OPEN SPACE" where on this Sunday has several workshops dedicated to this themed exhibition. 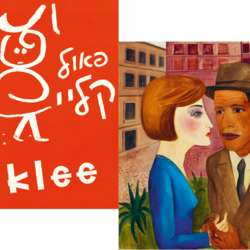 Part 1: Famous Swiss German artist - Paul Klee's exhibition: "A Collection Traveling Around the World"
Part 2: "Museum Global, Micro-histories of an Ex-centric Modernism" focuses on selected examples of transcultural modernity beyond the "western" canon. With micro histories from Japan, Georgia, Brazil, Mexico, India, Lebanon and Nigeria ( Protected content ). Par 3: "Epilog", focus on Western modernism, European and North American art in Protected content innovative exhibition formats. Big names at this presentation including Jackson Pollock, Nicolas de Staël etc. Let's have a relaxing and inspiring Sunday together! @ Please sign up only if you have interest and are sure to join. Please cancel at least 24 hours before in case you can't make it. So leave other members opportunity to join. Please make sure to take my mobile number along in case you can't find the place. @ For drinks or meal, you pay what you order.